Decorative Iron Spears, Finials, & Caps - Order Online! Spears, Finials, and Caps provide the finishing touch to the top of your fence Posts and Pickets. The design choices are almost endless. The one at right uses one type of Cast Iron Cap for the Posts and two different sizes of Spears for the Pickets to create a striking design. 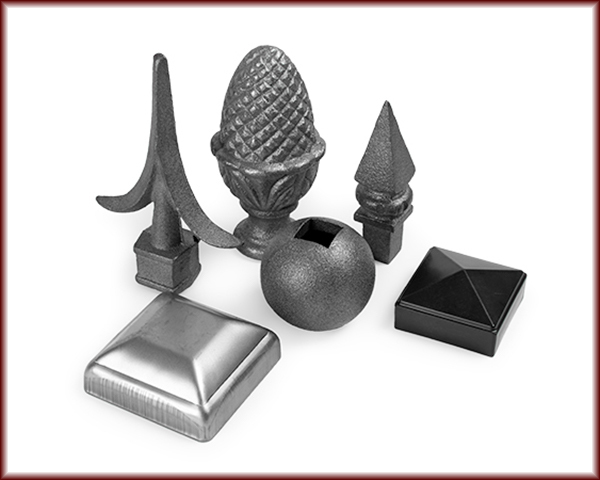 Combine the power of your imagination with our extensive selection of Spears, Finials, and Caps to create a fence that is uniquely yours.